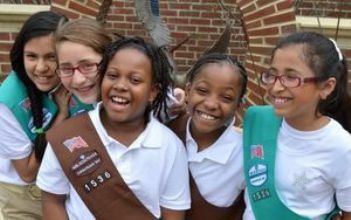 Thanks to the Girl Scouts of America, parents and community volunteers, we are proud to sponsor outreach Troop 1536 in Easton, Maryland. Our Troop traditionally meets on Monday and Tuesday evenings from 5 PM to 6 PM in the Media Center of the Easton Elementary Moton Building. For more information, please contact Troop Leader Estela Vianey Ramirez.